On September 27th, EPR co-organised a conference focused on the employment of people with disabilities in Vienna, Austria together with EASPD, the European Union of Supported Employment, the Austrian Disability Council and the Austrian Ministry of Labour, Social Affairs and Consumer Protection. This conference, organised within the Austrian Presidency of the Council of the European Union, looked into strategies to ensure employment of people with disabilities and the implementation of the Article 27 of the UNCRPD. Around 200 people took part. 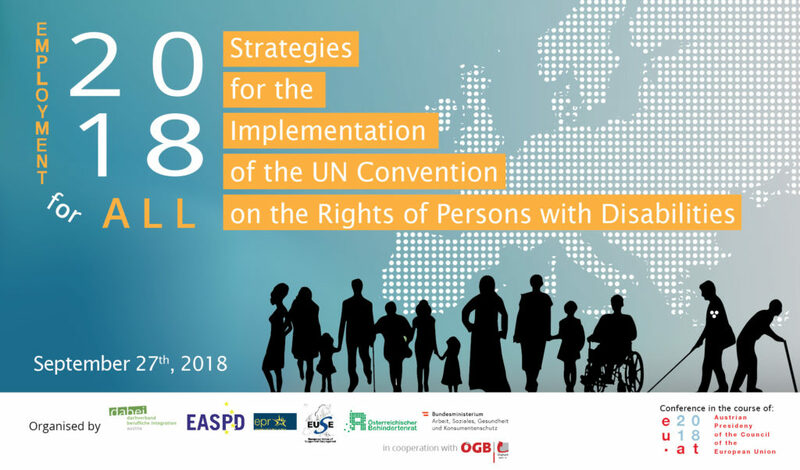 Experts examined the progress of implementing the UNCRPD in the field of employment, including a focus on Ireland as good practice, and examined what the EU has done to support implementation. During country workshop sessions experts, including ONCE, presented country situations and best practices focusing on reducing the unemployment rate of pwd. Panel discussions looked at good practices and challenges in employment of pwd.